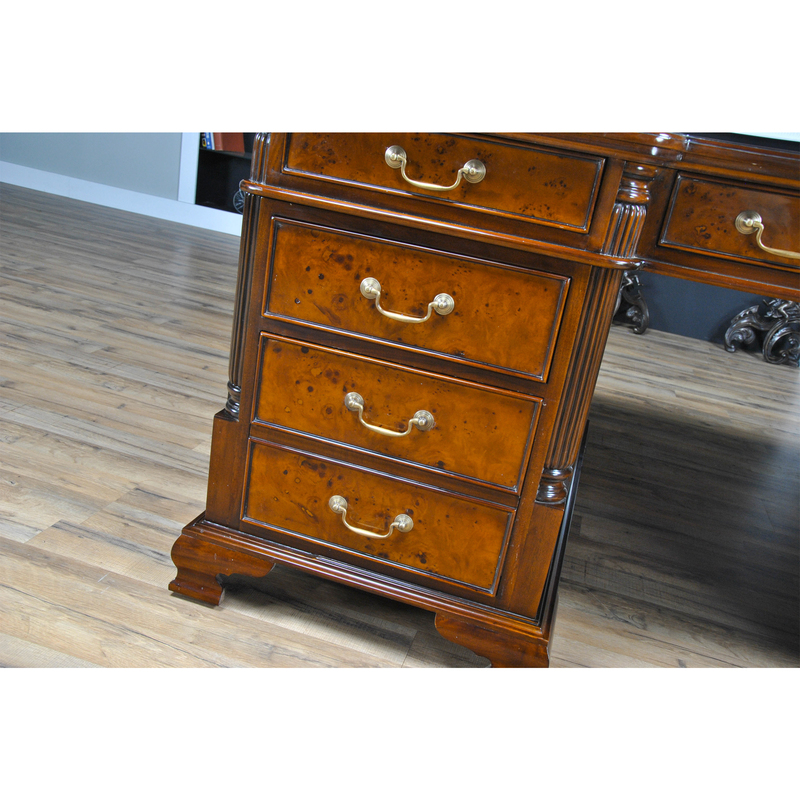 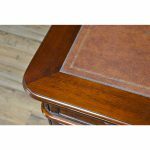 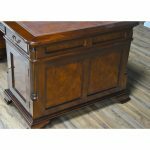 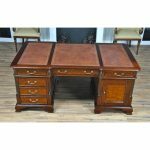 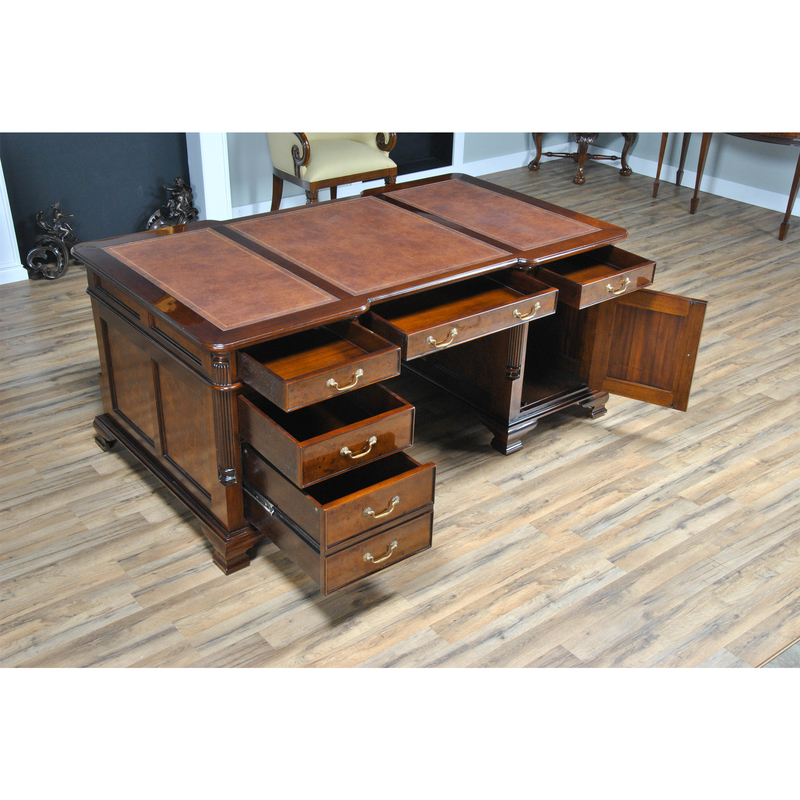 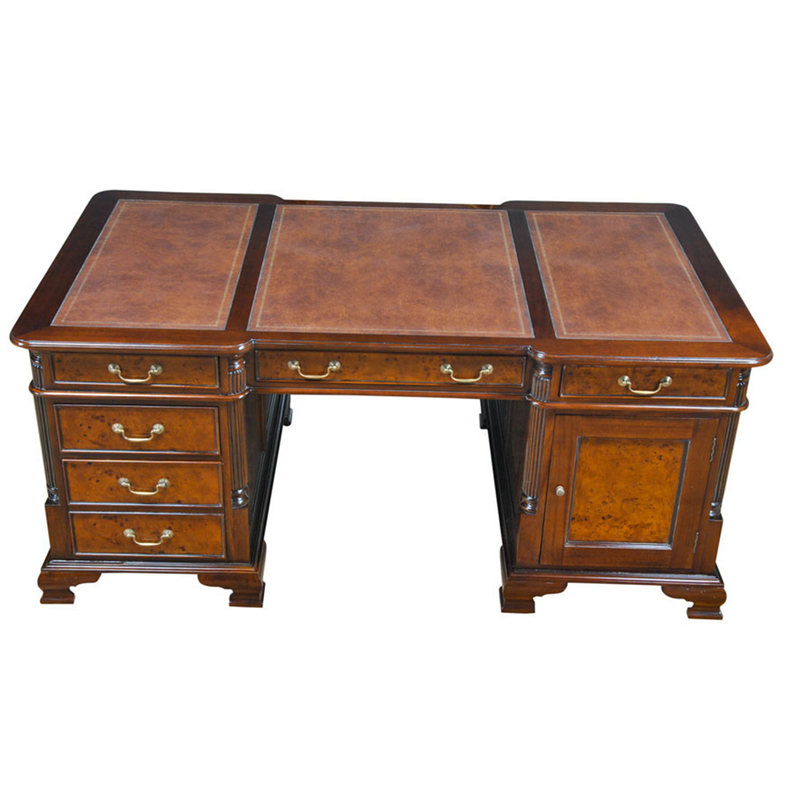 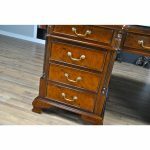 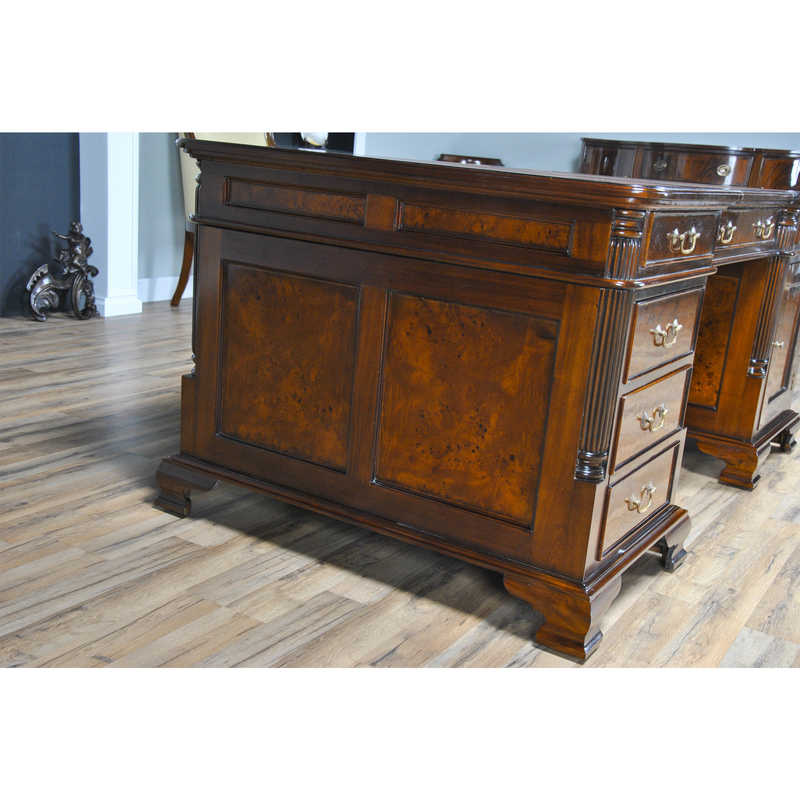 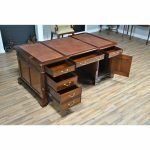 This beautiful burled partners desk by Niagara Furniture is crafted as an antique reproduction. 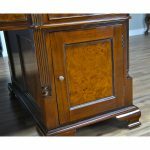 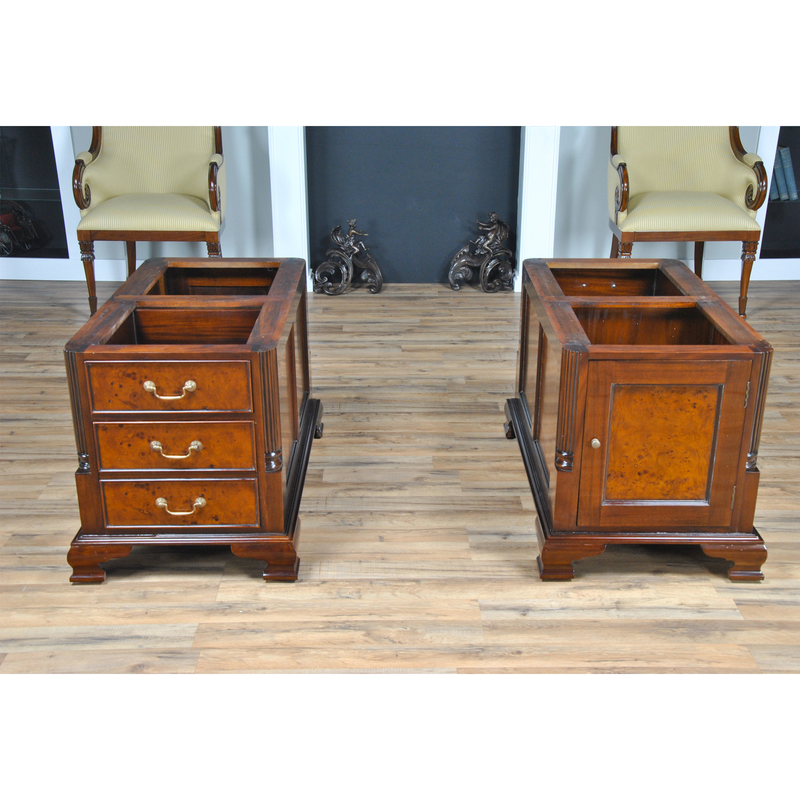 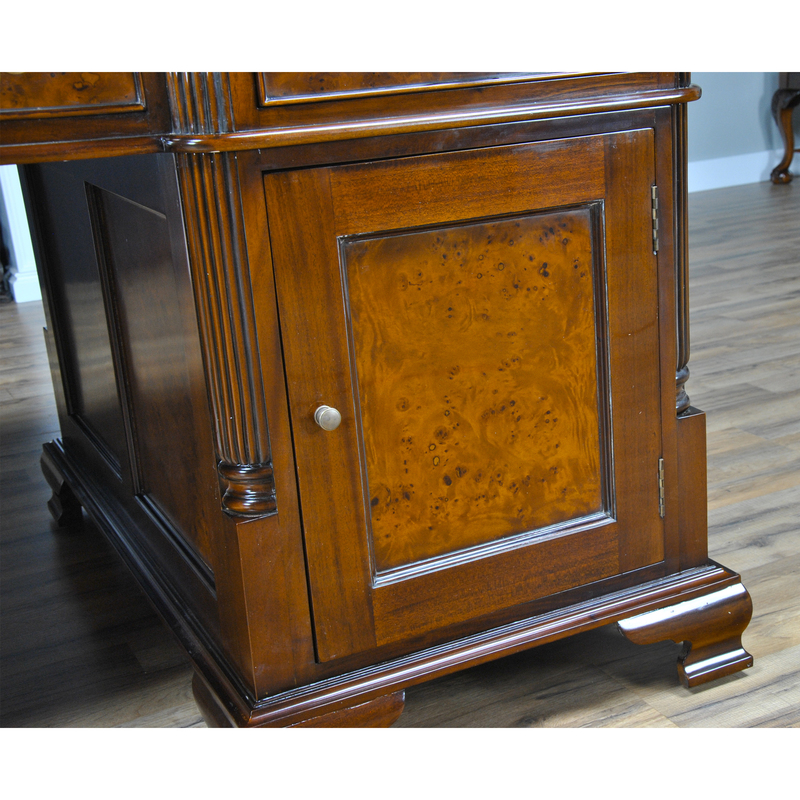 The fine quality veneers in the drawer and door panels displays a rich color similar to that found in English antiques. 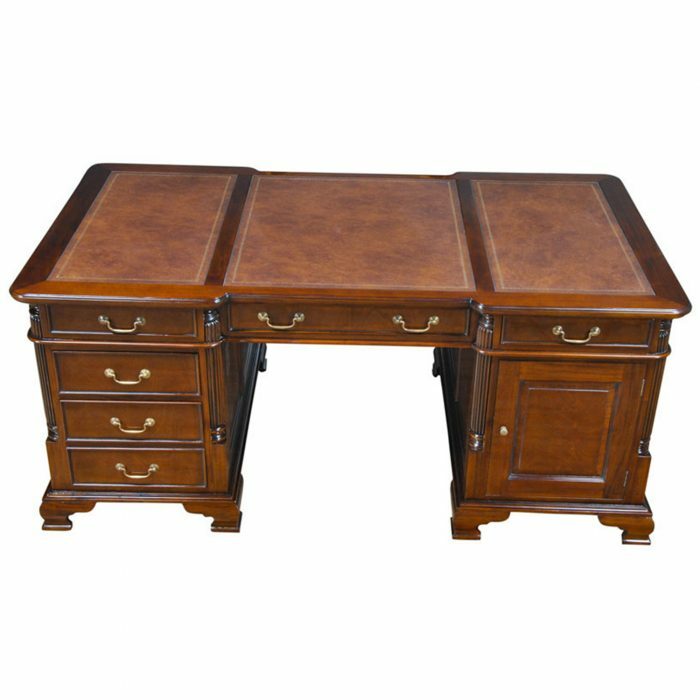 The three-paneled writing surface of brown full grain genuine leather features antique style gold tooling. The brass pulls complement the desk, while paneling forms the sides of the desk. 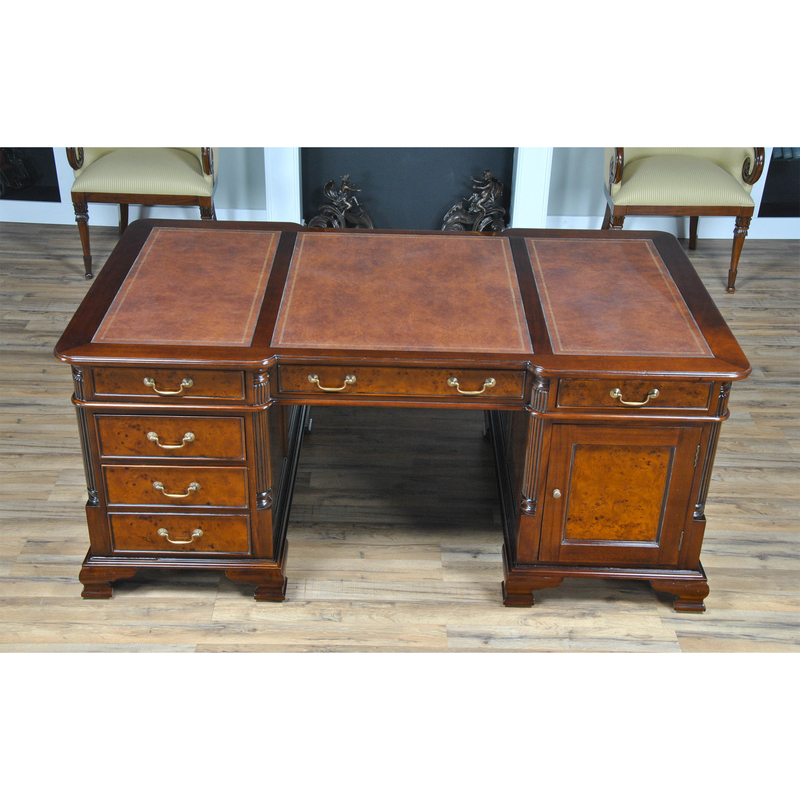 With two built in cabinets behind the doors, two file drawers as well as eight standard drawers, this partners desk is both beautiful and functional. As a reproduction is it built using three part construction, the top and two pedestals separate from one another for shipping and installation. 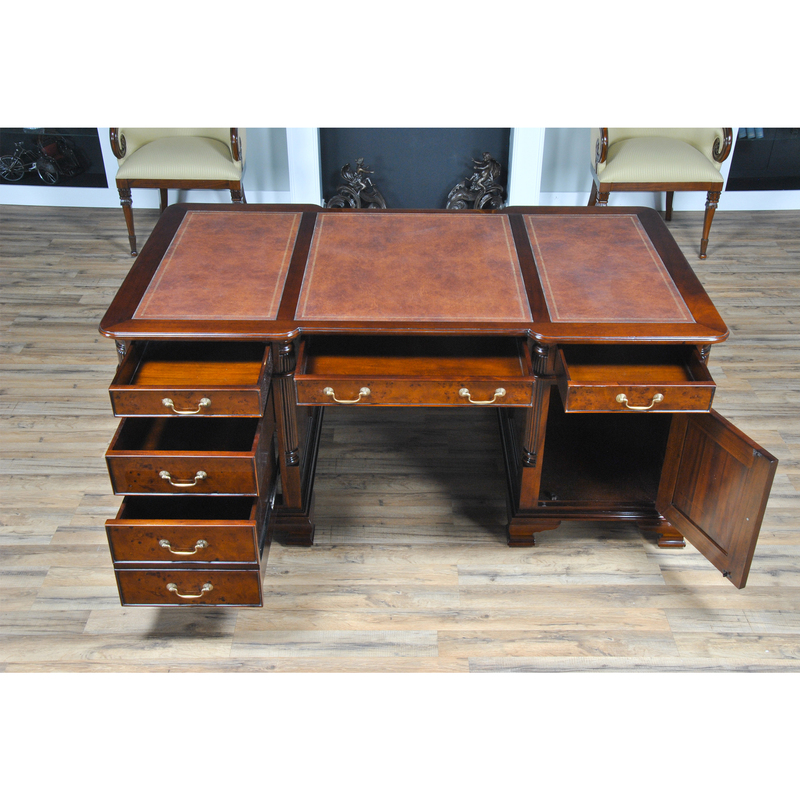 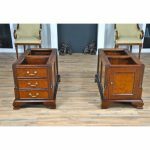 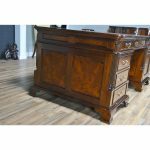 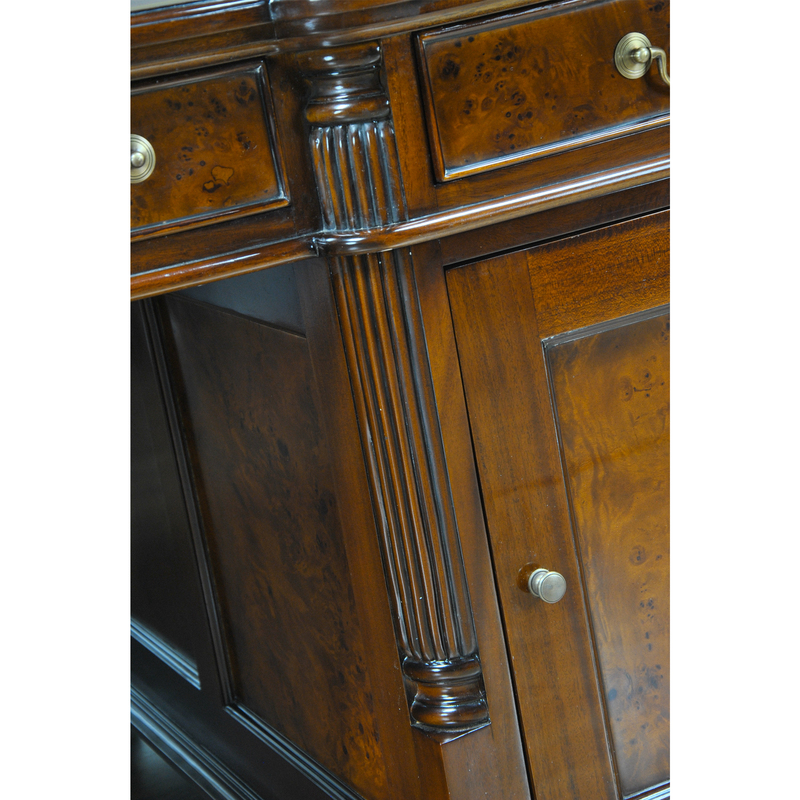 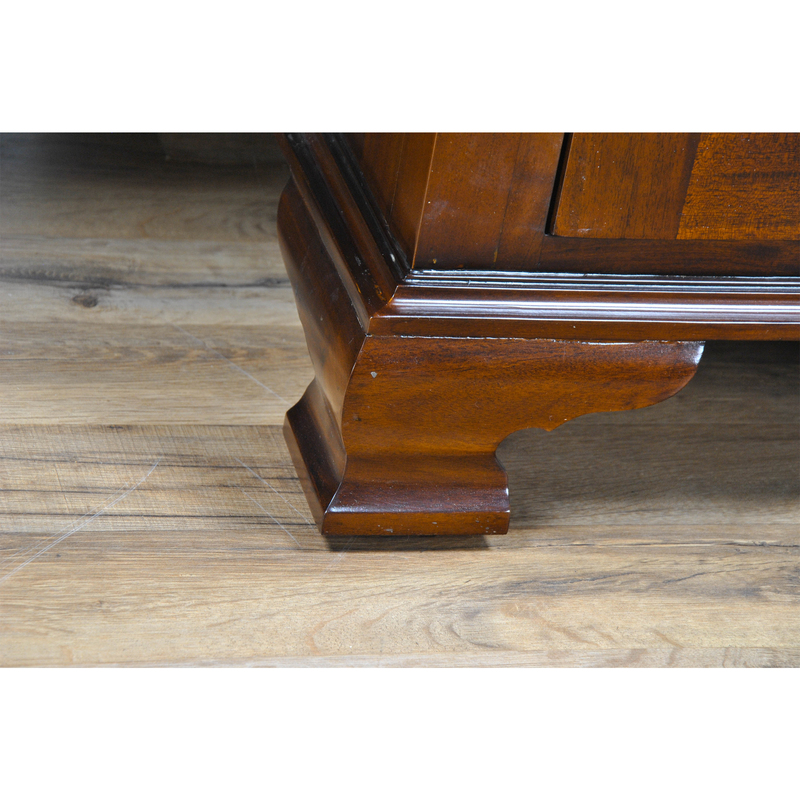 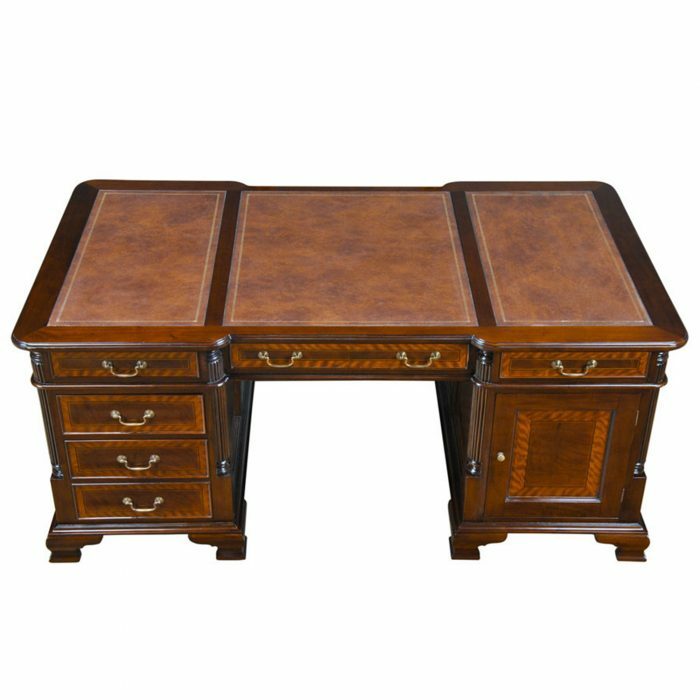 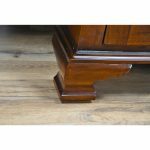 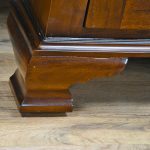 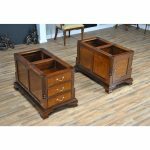 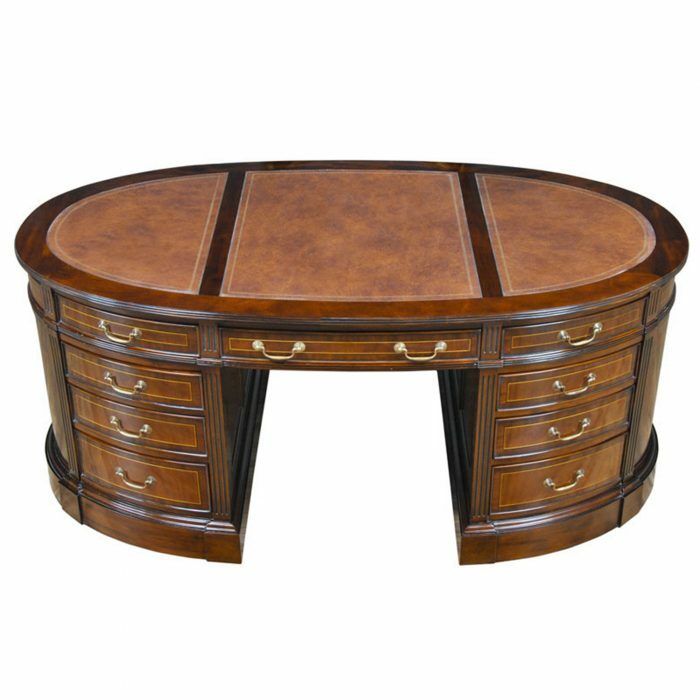 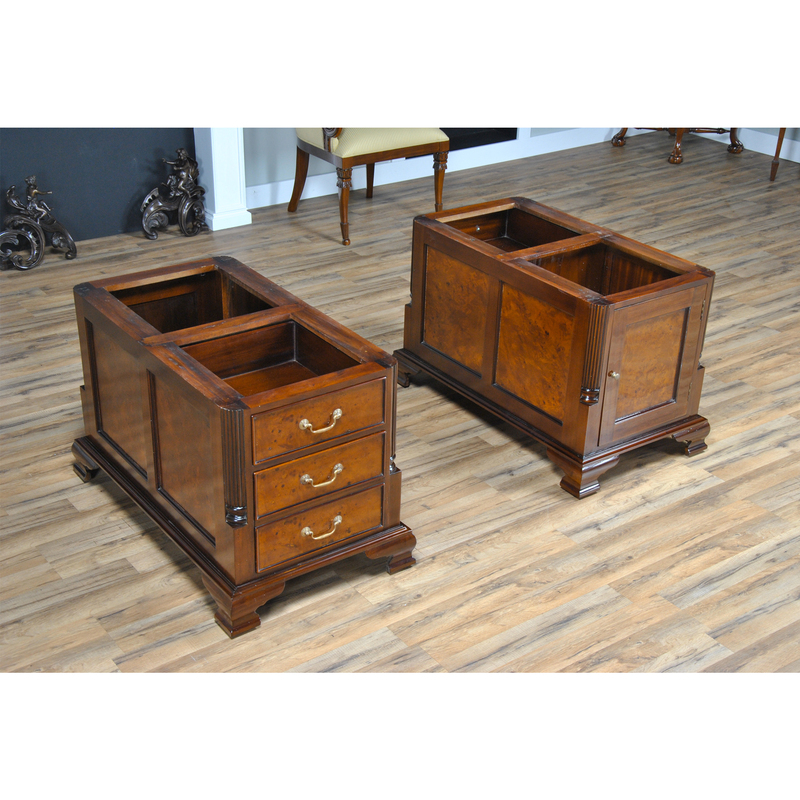 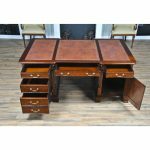 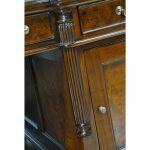 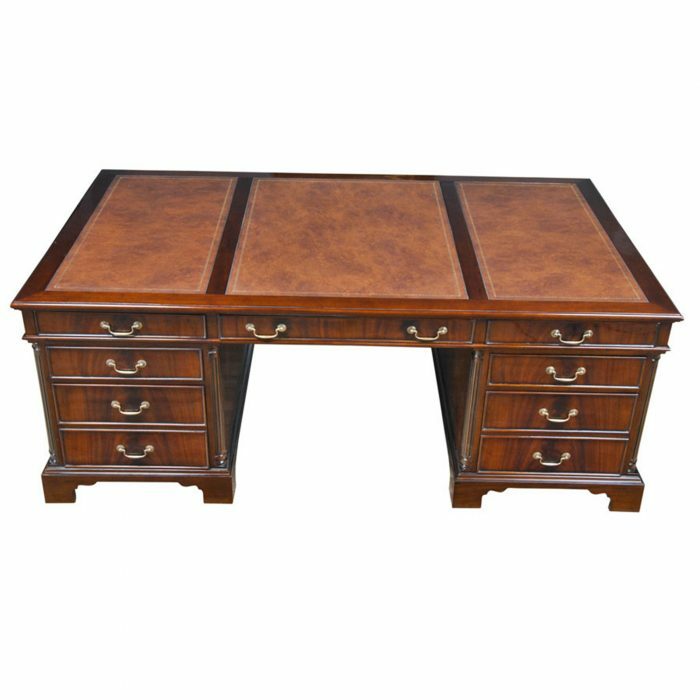 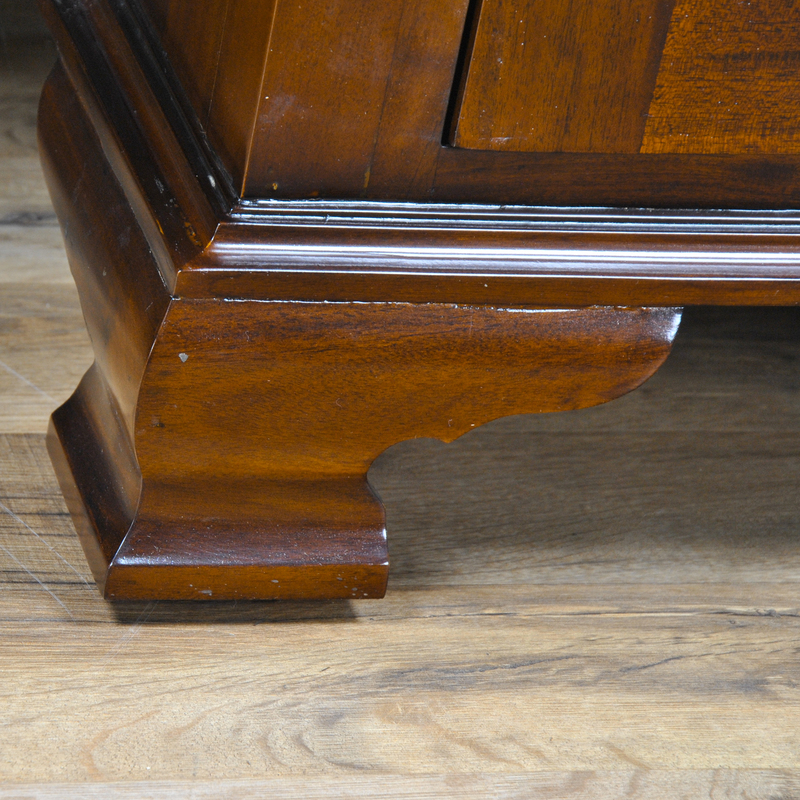 Great quality construction throughout the desk is typified by hand carved, reeded quarter columns, dovetailed drawers and hand shaped and curved bracket feet.